I have just acquired a few of the Spectrum Noir Markers from Crafters Companion. I bought them over time from JoAnn's with my 40% off coupons. I love these markers and they are easier on my pocketbook then the Copic markers. I have 5 Copic markers and now have 6 sets of the 6 pack colors of the Spectrum Noir Markers. This image was fun to color. 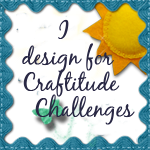 It is from Limited Runs who is the sponsor this week for the challenge at Pin and Tack and I just became a member of their Design team. I'm still new to using alcohol markers and learning as I go about blending. 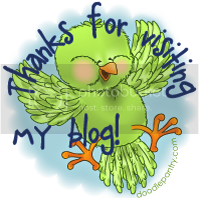 But I did promise myself that I would be more active on my blog and join and participate in challenges. For this card I used a pink stripe paper from K Company Designer paper pack. The scallop card was cut at 5.5 inches from the Cricut cartridge Birthday Bash page 38. The Spectrum markers I used for the flowers were PL1,PL2,CG1,CG2 and the yellow was Y08 copic marker. You can guess my next color of the Noir Markers will be the yellow set. LOL. 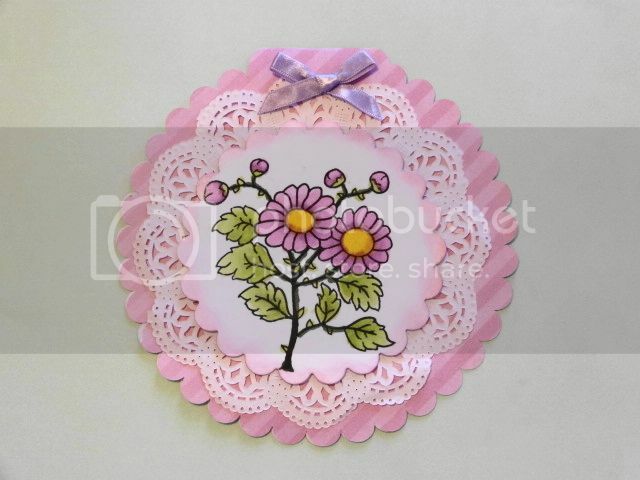 I inked around the image mat that was a Spellbinders Scallop die cut with Dew Drop Brilliance Pearlecent Orchid and mounted on pop dots and attached it to a white doily then layered it on the card with a lavender color bow from my stash. this card came out so pretty I'm sending mom another mother's day card. Comments are always appreciated and read. 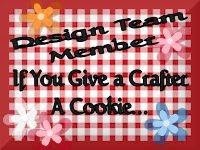 Follow me as I learn and share my crafting adventures. So cute! Thanks for participating in the Sister Act Card Challenge!! Thanks for joining us at Cut It Up Challenge. Beautiful Mother's Day card! Thanks so much for joining us this week at The Pink Elephant! Beautiful creation Kitt and great job on the coloring! Thanks so much for joining us at The Sisterhood ‘April Showers Bring May Flowers’ challenge and please come back again soon! P.S. Be careful purchasing the Spectrum Noir where they've been 'hung up for display' ... you may find they are dried out on one end. I took 10 sets back to Joann's for this reason. 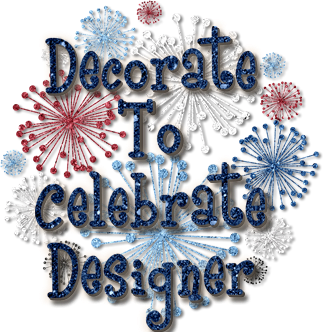 Fabulous card, love the coloring job and all the details on your card! Thanks for playing with us at Stamping with the Dragon! This is lovely. Wonderful colouring and a perfect frame for your work. Thanks for taking part in the Stampin'with the Dragon' Flowers for Mum challenge with us. No Electricity. I made a card anyway.